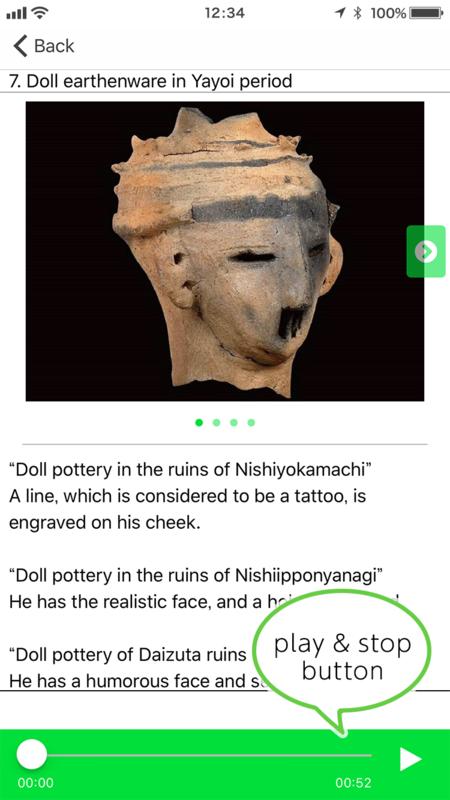 This free audio guide app for you to know more valuable archeology relics excavated in Saku city. 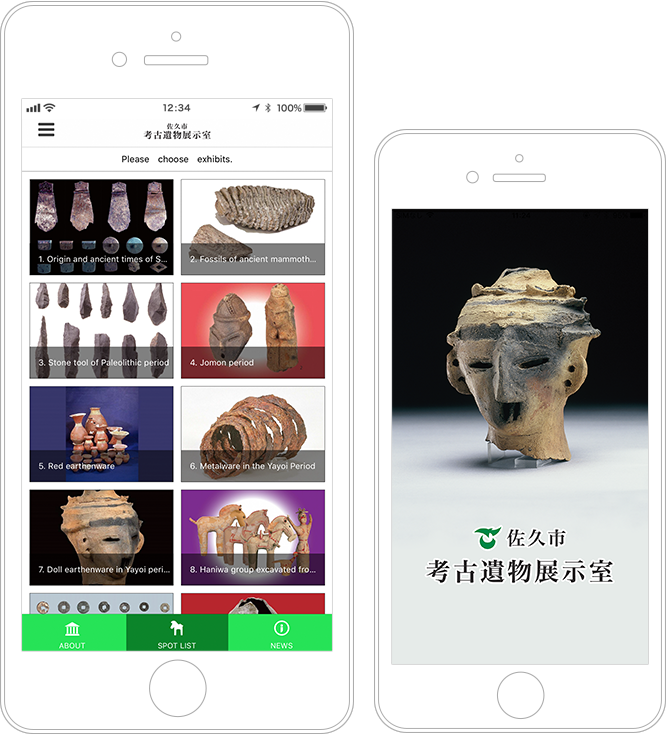 Please download the exhibit information after installing the application. Archeology remains displayed are listed. 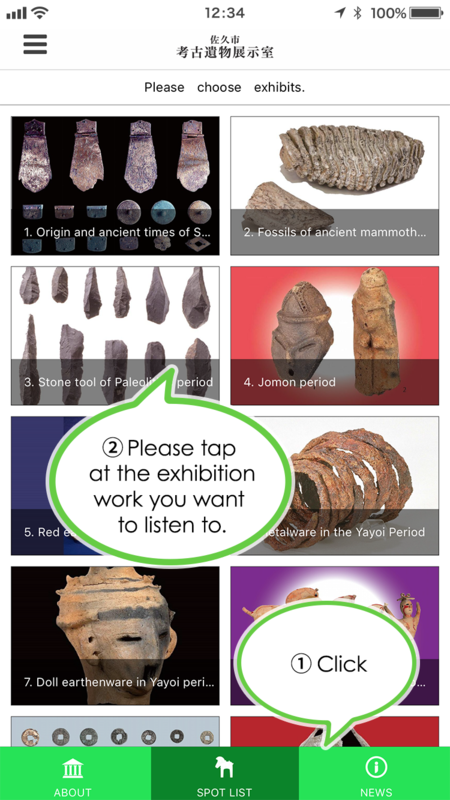 This free audio guide app, sound is reproduced only in the Saku city archeology relic exhibition room. 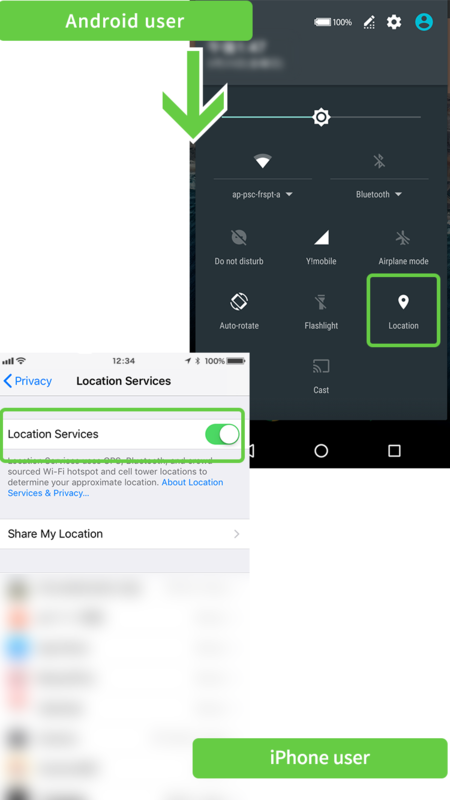 Please permit the utilization of your location information. 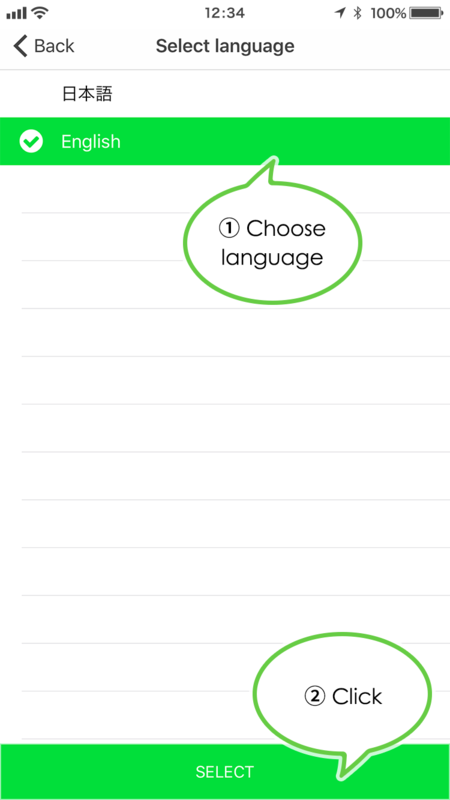 After you start the application, a screen for choosing the language for the audio guide will be displayed. Please choose a language and click the [Select] button. After you have input your profile data, please download the audio guide data. When you click the [Download] button at the lower part of the screen, the download will start. 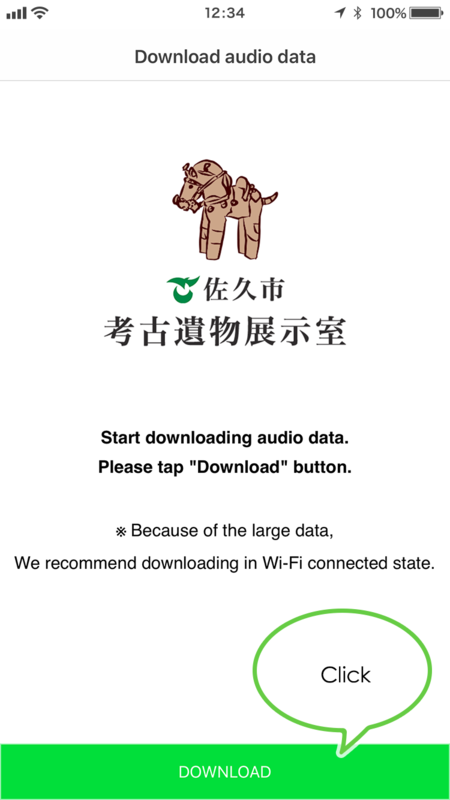 Depending on the connection, the download of the audio guide will take some time, so please wait for a while. You only have to download the audio data once. 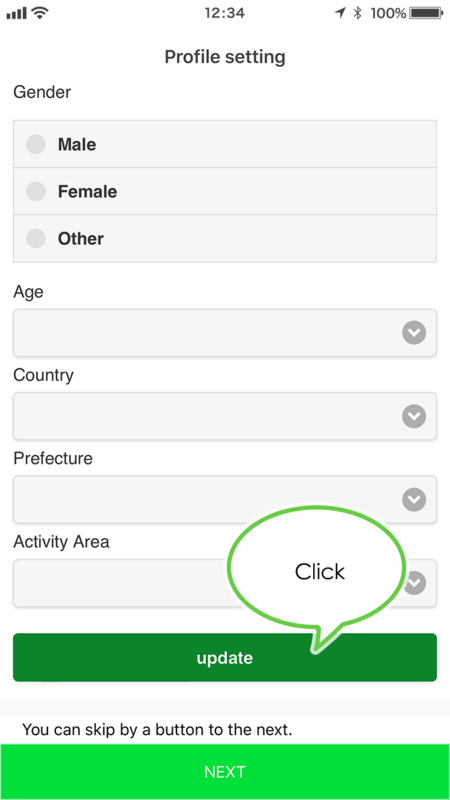 In case that the content of the tour spot changed, you will be informed via the application. 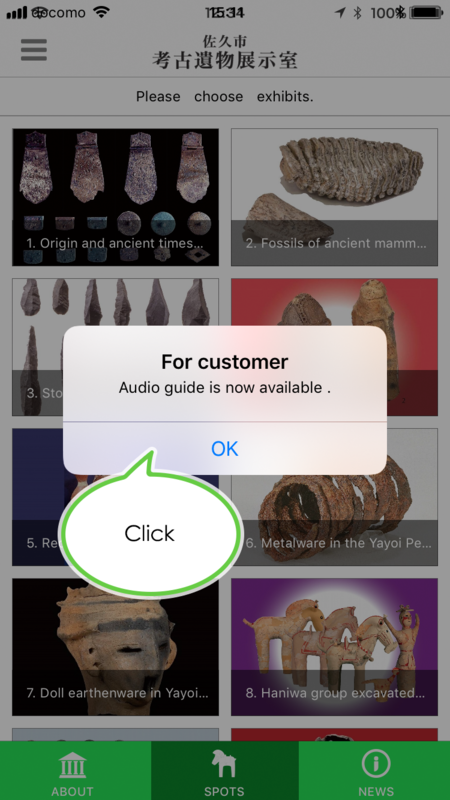 Please download the updated audio guide in this case. Start the application while at the reception. 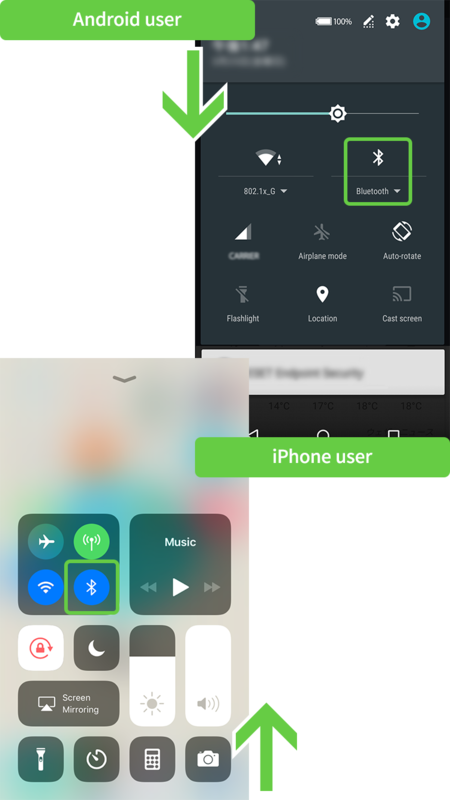 If you hold your phone in front of the Check-In Box, you will be able to use the audio guide. In case that you check-in at the reception, please always leave your Bluetooth on. This is the list of the tour spots. Please click at the spot you want to listen to. On the lower right of your display, there is a play button which says [play] and [stop]. Above the white bar, the text of the audio guide is displayed.